Eric Spears’ corporate practice is focused on entity formation, mergers and acquisitions, securities offerings, commercial finance, formation and management of nonprofit entities and general business counseling. 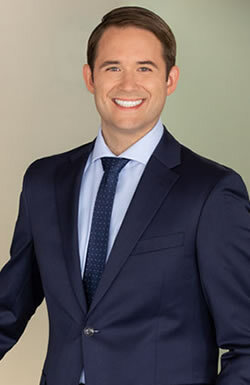 Prior to joining Murphy Austin, Eric was an associate with Boutin Jones Inc., where he represented and advised business clients on matters related to entity formation, mergers and acquisitions, securities laws, commercial finance and general business counseling. Eric received his B.A. in Political Science and History from the University of California, Davis. He received his J.D. from the University of California, Hastings College of the Law, where he earned multiple Witkin & CALI awards and acted as a teaching assistant for Moot Court and Legal Writing and Research courses. During law school, Eric served as a legal intern for Funding Circle, a peer-to-peer lending marketplace, the State of California’s Office of Legislative Counsel, a nonpartisan public agency that provides confidential legal services to the California State Legislature, and the General Counsel’s Office of the Alameda-Contra Costa Transit District, an Oakland-based public transit agency. He also served as a judicial extern for the Honorable A. James Robertson, II of the San Francisco Superior Court. Served as corporate and securities counsel to publicly held company in connection with its follow-on offering of common stock. Served as corporate and securities counsel to publicly held company in connection with two separate private placements of high yield senior notes. Served as corporate and securities counsel to publicly held company in connection with the exchange of its privately-placed high yield senior notes with registered high yield senior notes. Served as special California counsel to bank holding company in connection with public offering of shares of common stock. Served as special counsel to real estate developer in connection with the issuance and sale of special tax bonds. Served as corporate and securities counsel to publicly held company in connection with two separate exchanges of its convertible senior notes with shares of common stock. Served as buyer’s counsel in connection with the acquisition of an international seed company by an international seed company. Served as buyer’s counsel in connection with the acquisition of an electronic equipment supplier by a locally-based electronic equipment supplier. Served as seller’s counsel in connection with the disposition of a building products and services company to a private equity investment firm. Served as sellers’ counsel in connection with the disposition of two interior contractor and retailer companies specializing in engineered stone and solid surfaces to a private equity investment firm, including the settlement of buyer’s post-closing indemnification claims. Served as seller’s counsel in connection with the disposition of a home energy rating system provider to two individual buyers. Served as seller’s counsel in connection with the disposition of a fitness center to an individual buyer. Served as counsel to privately held company and partnership in connection with the redemption of shares of common stock and partnership interests held by an individual seller. Served as counsel to publicly held company in connection with its revolving credit facility. Served as counsel to a privately held construction equipment dealer in connection with its revolving credit facility and amendments thereto.